BuildZoom.com is a website built to help you find general contractors in your area. The site features contractor reviews and rankings, which lets you view all of the top rated contractors in your metro area. 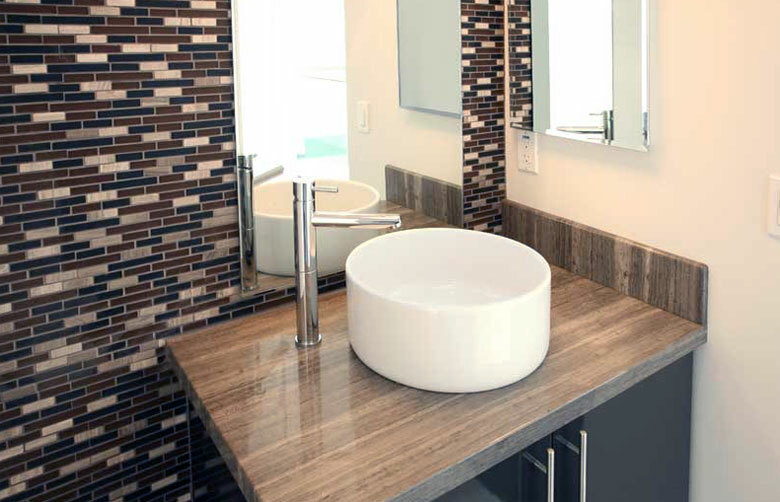 There is a specific subcategory for contractors licensed to perform hardwood and tile installation. Each contractor has a profile page with details about various projects they have completed in the past, including before/after photographs of the project, budget estimates, time taken to complete the project, and in some cases, contact information for the homeowner. Before choosing a tile installer we recommend checkout out their profile page and feedback on BuildZoom.com to make sure their past customers have been happy with the job they performed. We’ve recently been playing around with a service called Import Genius, which, it seems, provides one of the most useful import services we’ve ever come across. Scams run wild in the overseas tile world, so this service is certainly a good way to avoid unscrupulous factories, because ImportGenius lets you analyze their export history and correspond with other American companies that buy from said factory. The genius search engine allows you to analyze ocean containers brought into the United States. If you search for “tile” you are rewarded with a massive list of tile imports, along with data about both the supplier and the importer. This is a quick way to find new providers, as well as to find out who other tile importers around the country are buying from. I’ve attached a screen shot of a basic search I ran for “travertine tile”. Of course, there is a lot more you can do with the tool. For example, I noticed that tile imports really spiked during certain months of the year, and crashed in others. Areas hit hardest by the real estate crash have the most noticeable decline in tile import activity. I also used Import Genius to find a supplier of a new style of noche dark travertine that has become increasingly popular in Florida. Ceramic tiling has been transforming everyday living spaces into extraordinary works of art since the dawn of the Pharaonic Dynasty. Ancient Egyptians first began using ceramic tiles as a way to enhance the decorative value of architecture and exterior pathways in 4000BC. The living quarters of wealthy families and the tombs of affluent pharaohs were often ornamented with colorful and masterfully crafted tiles made of stone and clay. The Babylonians and Islamic empires soon to adopted the technique of using ceramic tile art to decorate mosques and depict religious scriptures. By the 13th century almost every European church was paved in delicately hand crafted ceramic floor coverings. As time went on and tastes evolved the wealthy and eccentric began requesting lavishly glazed tiles to adorn their establishments with aristocratic style. 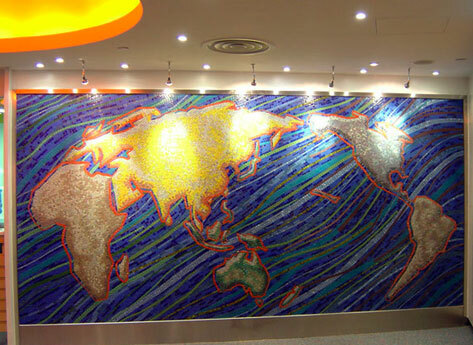 The tile industry flourished, and the art of using ceramic and stone tiling to beautify floors and add creative elements to both interior and exterior wall structures became a right of passage for the prosperous. Lower class families often attempted to mimic the intricate designs and textures or expensive tiles in their own handcrafted designs. By the turn of the 16th century the wide spread popularity of tile had made it’s way to Spain, where some of the most extravagant hand crafted tile art from that era can still be viewed today. 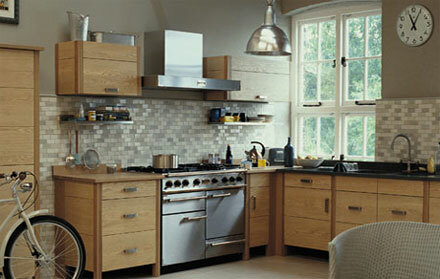 The industrial revolution of the late 1800’s can be attributed to the large success of tile in Britain. The tradition of using tile as a decorative building material, or to add elegance and splendor to seemingly ordinary architecture is predominately European in origin, and quickly became a custom that people the world over soon adopted. American tile makers sought to emulate the success of the British tile industry, but American made tile of the time was never as desirable as the English imports. By the end of the 19th century handcrafted tiles were used extensively to adorn walls as décor and to beautify the interior of fireplaces. 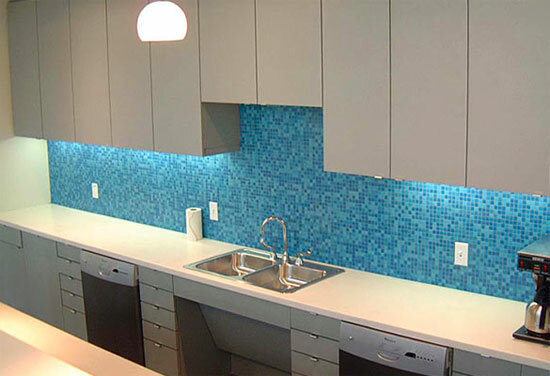 As society became more hygiene conscious and the desire for artistic home décor progressed, home owners began using ceramic tiles in their kitchens and bathrooms. 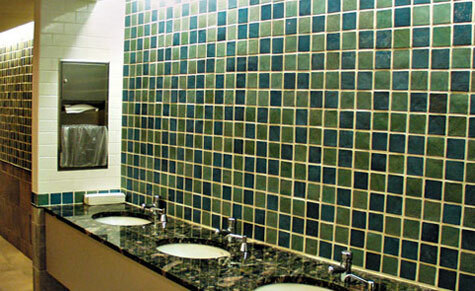 The sanitary capabilities of glazed tiles made them an ideal choice for floor and wall coverings in frequently visited public locales such as subway stations, restaurants and healthcare facilities. 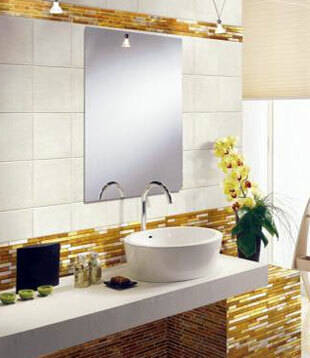 Today decorative and duel purpose tile can be seen everywhere. 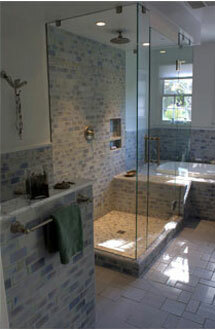 Glazed ceramic tile provide an easy-to-clean decorative medium for kitchen and bathroom floors and walls. Impressive and strategically placed tile add an artistic flare to shower walls, and garden walkways and patios are never been more breath taking than they are when bedecked with inviting and stylish stone tiling. 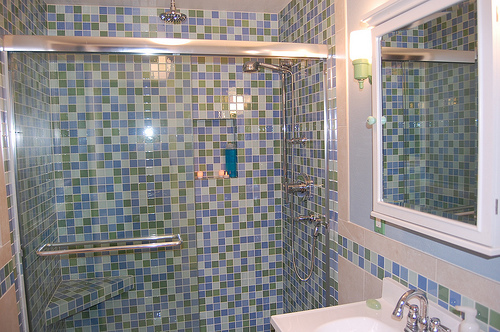 Hakatai Enterprises is an Ashland, Oregon based company that distributes glass mosaic tile, mostly via their online showroom at hakatai.com. 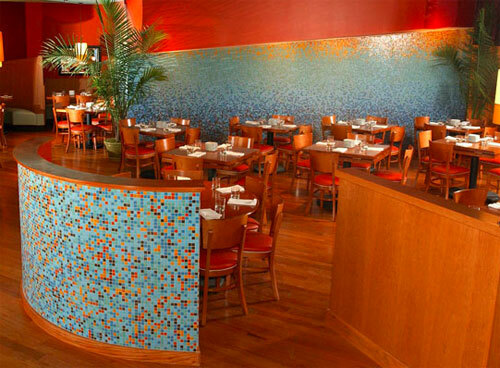 Check out their site to see more images of glass tile used for fireplaces, floors, ktichens, pools, bathrooms, and in hotels, offices, restaurants, spas, and retail locations. MineralTiles.com is a wealth of information on tile. Visit their tile care center to learn more about pre-grouting protecting, polishing procelain tile, cermaic procelain tile maintenance, and all sorts of decorative tile design ideas. 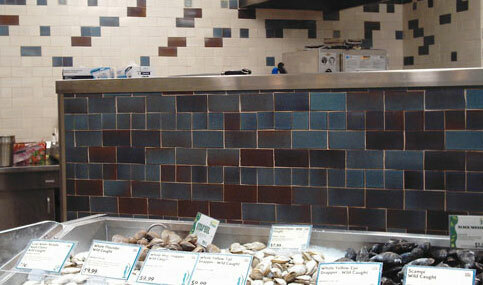 They also sell a wide variety of gorgeous tile.